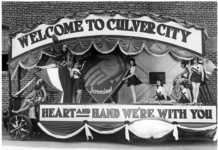 While the nation prepares for the impactful midterm elections this November 6th, Culver City residents will have an additional opportunity: to vote for an issue equally relevant to the city–and its much heralded school district. Supporters of the measure are emphatic that the measure–which involves an additional tax–will supply desperately needed funds to keep CCUSD a prized school district. Opponents are unsurprisingly opposed to paying more taxes. In short, Measure K will apply an annual flat-parcel tax off $189 on commercial and residential private properties within Culver City’s borders. 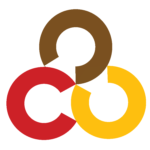 If implemented, the funds will be fully applied to CCUSD and will raise a much-needed, approximately $2.36 million a year. 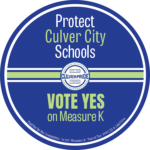 Measure K requires a two-thirds majority to pass. If passed, it will start July 1, 2019, and expire in seven years. During this time, Measure K expects to raise an estimated $16.5 million in total. Seniors and people with disabilities will be offered an exemption to the parcel tax. The measure was placed on the ballot, after a unanimous vote by all five members of the CCUSD School Board. 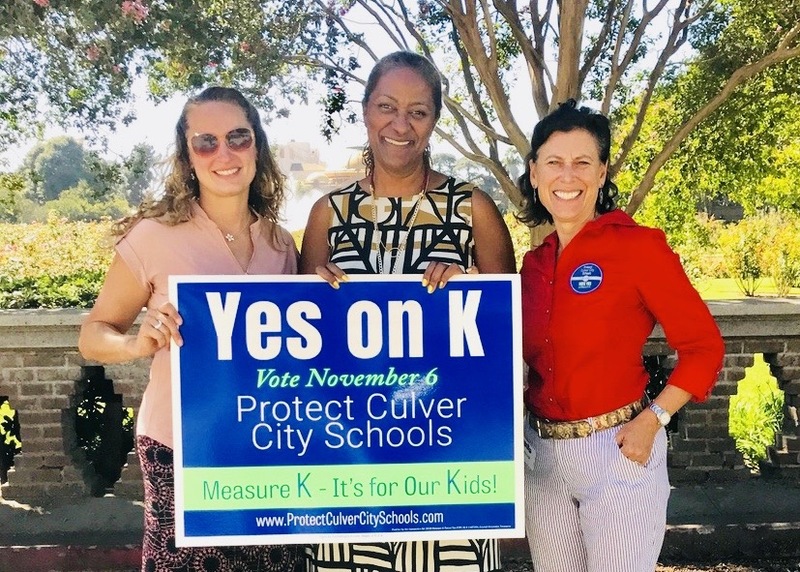 In addition to undivided support from all five CCUSD School Board members, Measure K is endorsed by California State Senator Holly Mitchell and Assemblymember Kamlager-Dove. Senator Holly Mitchell (center), CCUSD Vice President Kelly Kent (right) and Culver City First Lady, Joanna Brody (right). A complete list of endorsers can be found here. If Funded, Will There Be Oversight?